I stay at a small town in Germany with very limited options to study for PeopleCert Prince2 Foundation certification exam. 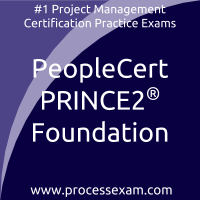 That is the reason i chose online platform processexam.com for peoplecert prince 2 foundation mock tests. They are very neat. When i started preparing for PeopleCert PRINCE2 2017 Foundation i got to know about paid online tests. My friend referred me processexam.com. Very well designed site. I gave the demo test. It was easy but when i subscribed for premium, I got this very good PRINCE2 Foundation question bank that helped me scoring good scores in the actual. By attempting more than 400 scenario based questions on PeopleCert ITIL Foundation certification exam, i became quite adept at this subject. Also my knowledge in topics like ITIL service lifecycle improved sufficiently. 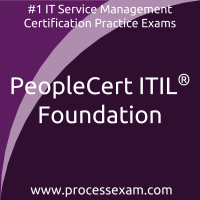 PeopleCert ITIL Foundation certification exam gave me a direction to climb in my career. But the ladder was premium membership for practice tests. Beautiful it is!